OYO Flagship 504 near Greater Kailash close to E Block GK II Bus Stop and Nehru Place Metro Station. The property is modern with spacious and stylish interiors, and Jahanpith City Forest, Rock Garden and CR Park Kali Temple. The property has an expansive reception and lobby with modern furniture and trendy wall arts depicting popular Indian and international celebrities. 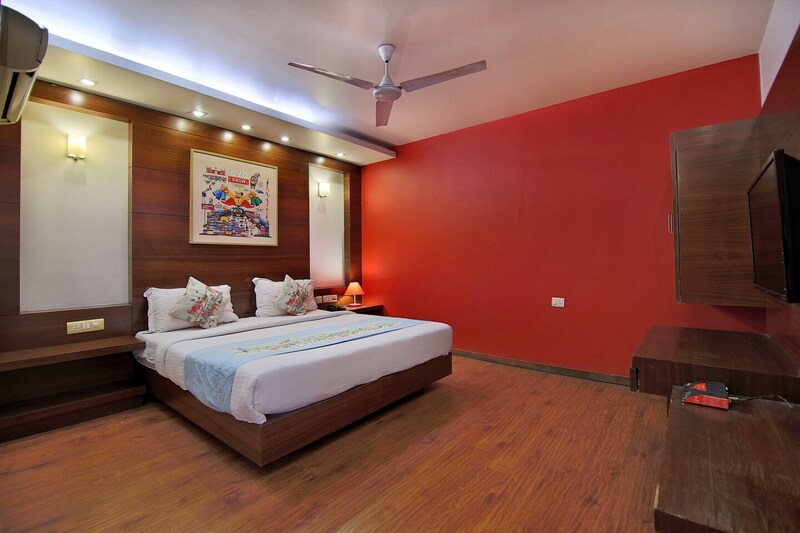 The rooms are large and done up in bright hues too, and they feature pretty lamps and paintings. Bathrooms are also stylish and well-maintained. All rooms here come with TV, AC, free Wi-Fi, heater and bathrooms have geysers. There is a banquet hall, elevator, CCTV security and laundry services are offered too. The property is close to eateries like Natural Ice Cream, Mainland China and Panda Wokk.